The Daily Mail newspaper reported late on Thursday that the two newly identified suspects in the attack on Russian ex-intelligence officer Sergei Skripal and his daughter Yulia got a UK tourist visas last March and were believed to already be back in Russia. The police were expected to inform government officials on the evidence against the two individuals "within weeks", the reports added. The outlet noted that the pair was not believed to have arrived in the United Kingdom together with Petrov and Boshirov, adding that the role of the two new suspects in the incident was much smaller. Earlier this week, The Telegraph reported that a third Russian suspect in the Salisbury poisoning attack had cancelled his flight back to Moscow and could still be staying in the United Kingdom. The newspaper suggested that the alleged Russian security officer, using the name Sergey Fedotov, arrived in the country on the same day as Alexander Petrov and Ruslan Boshirov, the two suspects originally accused by London of having a role in the poisoning attack. Russian Foreign Ministry spokeswoman Maria Zakharova has called these claims an unfounded hoax. London has blamed the Salisbury poisoning incident on Moscow but Russia has denied any involvement in the incident, noting that no proof of its role has been provided. Moscow has said that it sent dozens of requests to London asking that it be granted access to the investigation into the poisoning incident. Moscow has also offered to work together with London and carry out a joint investigation into the attack. London did not respond to these proposals, instead claiming that Russia rejected its calls for cooperation. Russian Foreign Minister Sergei Lavrov has said that the Salisbury poisoning case was falling apart due to the lack of proof of Russia’s involvement in the attack on the Skripals. The UK authorities subsequently said that Petrov and Boshirov were the suspected perpetrators of the attack on the Skripals and UK police officer Nick Bailey, who was also critically exposed to the nerve agent. However, London has not provided any evidence of these individuals’ involvement in the case. The UK authorities argued that the Russian military intelligence service, also referred to as the GRU, was behind the poisoning. 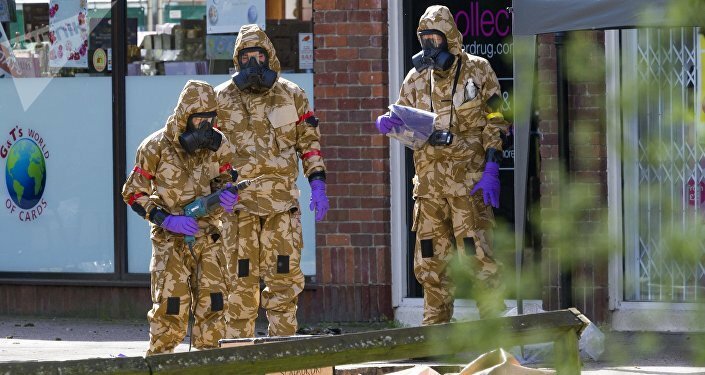 Petrov and Boshirov have said in an interview with the RT broadcaster that they visited Salisbury on the day of the attack for tourism purposes and worked in the fitness industry. They also denied any involvement with Russian military intelligence.